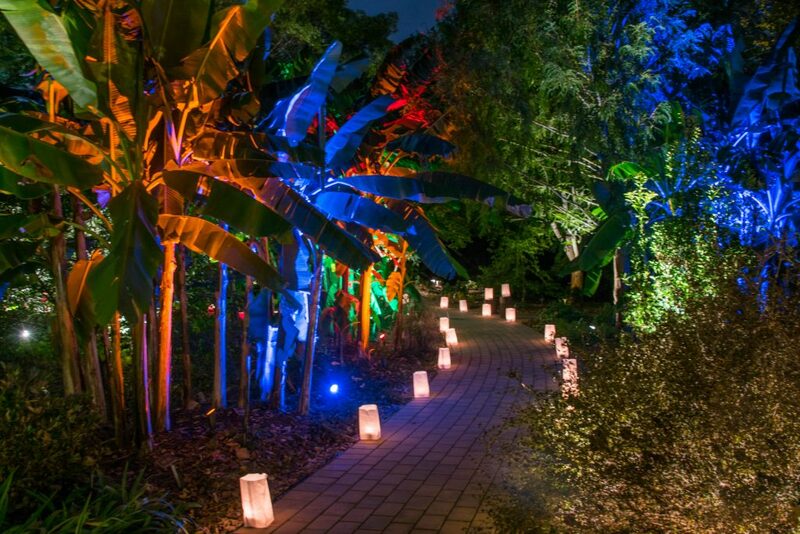 RALEIGH, NORTH CAROLINA – For seven-nights in November, the magical lighting exhibition Moonlight in the Garden will illuminate and showcase JC Raulston Arboretum at North Carolina State University. Sponsored by the North Carolina Agricultural Foundation and presented by Southern Lights of Raleigh and more than a dozen suppliers, the exhibition is a once-per-year occasion to see the botanical gardens and Arboretum at night. Exhibition dates include a special Preview Night on Tuesday, Nov. 6, from 7 to 9 PM; plus, Thursday, Friday, and Saturday nights Nov. 8-10 and Nov. 15-17 from 6 to 9 PM. 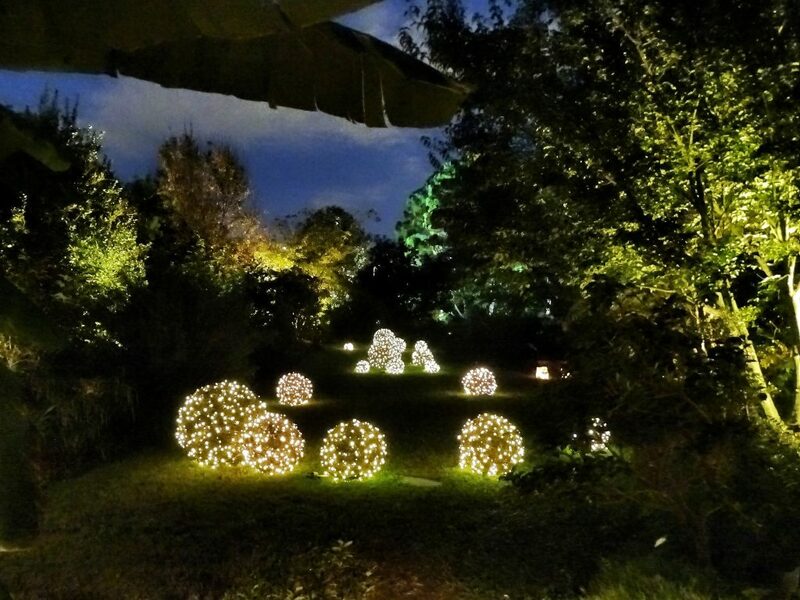 “Along with the colorful and festive lighting exhibition, Moonlight in the Garden is a chance to bundle up, welcome the fall season to North Carolina, dine at the best food trucks, enjoy the live music, have some hot cider, and roast marshmallows over the fire pits,” said Weathington. Founded in 1976 and featuring over 7,000 different types of plants, JC Raulston Arboretum is one of the most diverse botanical gardens in North America based on benchmarking by the American Public Gardens Association. Now ranked in the top 95-percentile in plant diversity, the Arboretum’s mission includes plant collection, research, distribution, and education. Tickets are limited – advance reservations are recommended online. Advance tickets are $10 for college students and members of the Arboretum, $20 for non-members, and $5 for children under 12. Prices are $5 higher at the gate, if available, except for children under 12. JC Raulston Arboretum is at 4415 Beryl Road in Raleigh. Beryl Road is accessible from Hillsborough Street, across from Meredith College; Beryl Road is also accessible from Blue Ridge Road over the railroad tracks across from the State Fairgrounds. Proceeds from Moonlight in the Garden will benefit daily operations of the JC Raulston Arboretum. 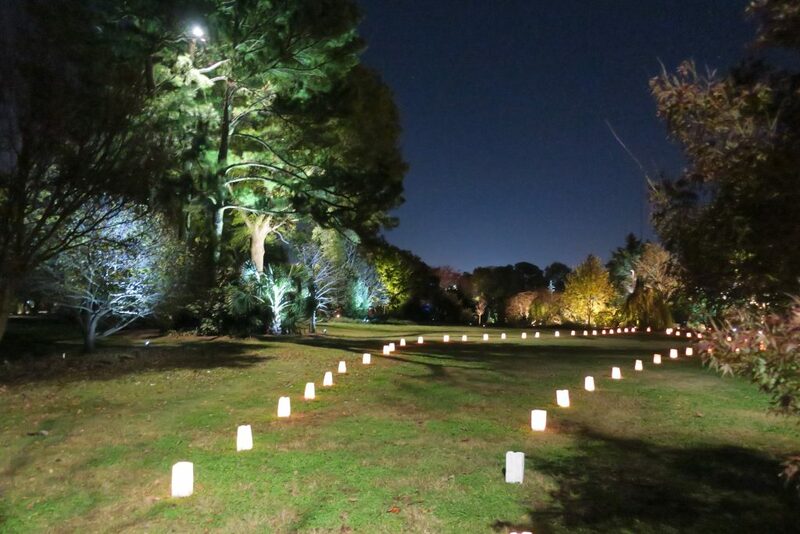 Moonlight in the Garden is sponsored by and fund-raising efforts operate under the auspices of the NC Agricultural Foundation, Inc., a 501(c)3 nonprofit (tax ID 56-6049304).